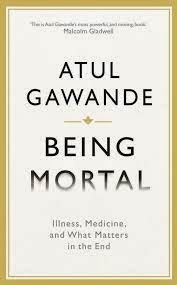 Being Mortal is an important book. It is very readable and very moving. It is about how people are treated towards the end of their lives. About what makes that part of life more bearable and how what people really need is often in conflict with how doctors are trained and used to acting. One of the many startling thing in the book was the explanation of how and why shifts in perspective happen when people are facing life threatening illness or advanced age. It made a whole lot of sense to me. This book is not about euthanasia at all – it is about trying to ensure people's quality of life and their own wishes are truly put first. Does that sound boring – well the book wasn't boring and it wasn't too intense either. I have blogged about Gawande before – here about Better and here about The Checklist Manifesto. Not sure I would read this, but thanks for sharing your thoughts. I really want to read this. I've read some of the author's writing in The New Yorker and he writes very well!